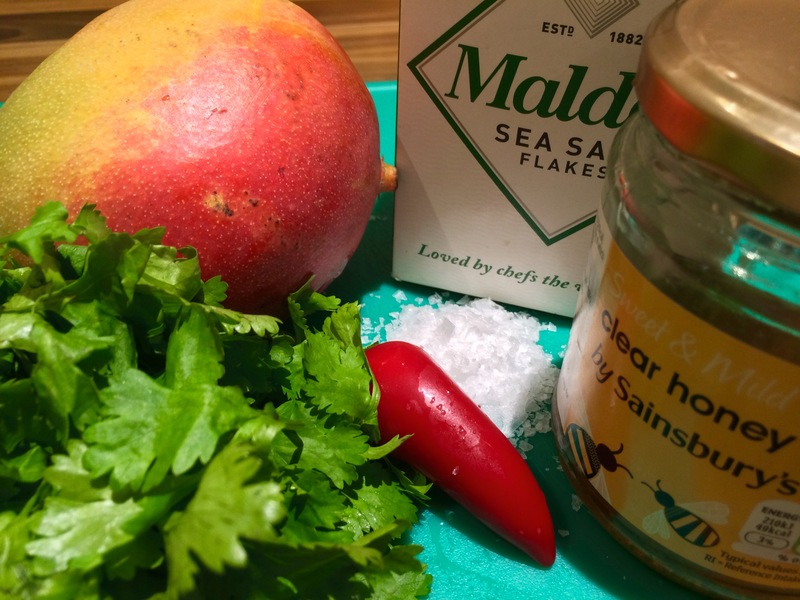 Colombian street food varies from region to region, but on the coast, mango is used with seafood and as a tasty snack by itself, for example shrimp and mango ceviche or simply as mango biche (which is shredded green mango with salt, pepper and lime juice). I like the odd squirt of lime when I cut up mango as a delicious flavour enhancer, but the Colombians got me thinking how else we can be creative with mango. 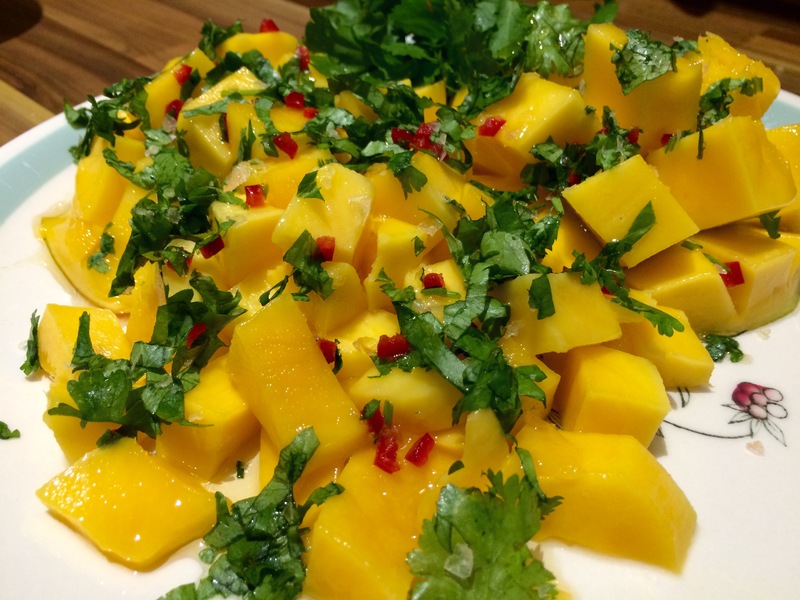 This simple recipe,plays on the idea of mango with salt, adding honey for a balance of sweetness and also some slightly untraditional Colombian flavours of chilli and fresh coriander, but both flavours that enhance the mango. De-seeding the chilli means you get the warm tingle, but no overpowering heat, which would ruin the flavour. Cut your mango into bite sized pieces and arrange on a serving plate. Drizzle with honey, then sprinkle over the sea salt, finely chopped chilli and coriander. Serve with toothpicks to skewer the individual pieces and extra salt.